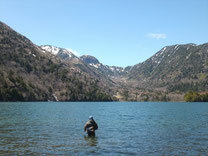 This tour is composed of two trekking courses around Senjyo-ga-hara Marshland (see note 1) in Nikko National Park, one for round trip to Konsei Pass via Lake Yunoko (Hot Water Lake) on Route 120, another for round trip to Lake Chuzenji. 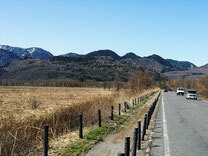 On the way for the first tour route to Konsei Pass (see note 2), you would be impressed by superb view of Oku-Nikko around Mt. Nantai. 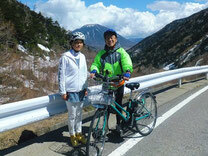 For the second round trip to Lake Chuzenji, you can enjoy bike trekking in deep forest. Note 1: Senjyo-ga-hara means battle field in Japanese, where actual battle was not done in past, but, the name may come from its wild landscape. Note 2: Konsei Pass is the 3rd highest pass of National Routes in Japan, followed by the first one, Sibu Pass of our Kusatsu tour, and the second, Mugikusa Pass. It takes about a hour by our shuttle from Nikko's railway stations to Akanuma Parking area in Senjyo-ga-hara Marshland in Oku-Nikko. 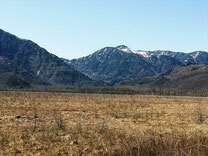 Akanuma is the base of trekking to Senjyo-ga-hara Marshland. Hybrid bus, or low-emission bus operates between Akanuma and Senjyu-ga-hama Beach of Lake Chuzenji. 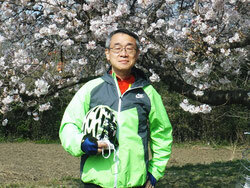 The bike tour takes the National Route 120 that some tourist cars are going on. After starting from Akanuma, you go up gentle slope and get to Lake Yunoko (Hot Water Lake), at 100 meter higher level than starting point. 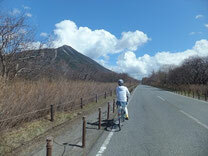 Once passing by Lake Yunoko, you go up the sloping road becomes a little steeper to Konsei Pass. 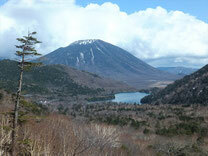 On the way to Konsei Pass, you can have wide view of Lake Yunoko and Mt. Nantai. 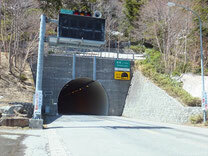 You would see a sign of Konsei Pass, the highest point of National Route 120, in front of the entrance of the tunnel of the pass. Please pay attention to keep moderate speed by regenerative brake of the E-bike for your safety when you go down the sloping road for about 450 meter relative height from Konsei Pass to Akanuma. Especially when passing by some hairpin curves, watch out oncoming uphill cars. The entrance gate of the trekking road of Nikko City Road R1002 into forest is located on right side of National Route 120, about 500m away from Akanuma toward Lake Chuzenji. Pull your bike through trekker entrance at the right side of the main gate. 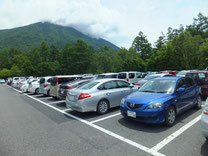 The paved road is just single lane, so that, be careful for walking trekkers and public hybrid buses passing sometimes. After running through the forest, you are in open area, which is called Odashiro-ga-hara, a part of Senjo-ga-hara Marshland. From Odashiro-ga-hara, the road becomes gentle uphill, and after passing Yumihari Pass by leaving Senjo-ga-hara, the road becomes gentle downhill through the forest to the dead-end point, Senju-ga-hama Beach, Lake Chuzenji. Senju-ga-hama Beach is isolated place with no shopping store and no restaurant, so that you can enjoy viewing the nature in quiet and peaceful atmosphere of Oku-Nikko. 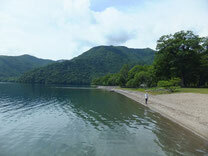 Lake Chuzenji used to be a resort area in the early 20th century for many diplomats of embassies in Tokyo. 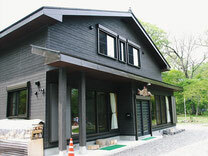 At Senju-ga-hama, some diplomats, and business people from overseas enjoyed fly fishing by staying a rest-house of Tokyo Angling and Country Club, founded by Hans Hunter, an European Business person. Unfortunately the house was destroyed by fire in 2013 and now is rebuilt. Once you walk around the place, you would know why the place attracted many people from overseas. Along the beach, you would take trail by passing two bridges of clean-water rivers and find a flat open area, where the rest-house was existed. In every June, Japanese Primrose is fully flowering there along creeks, which look like heaven. 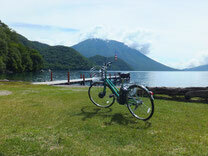 From Lake Chuzeji to Akanuma, the road is gentle slope and flat, it is easy way for E-bike trekking. 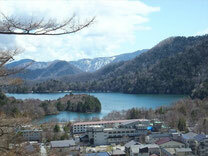 Let's enjoy viewing landscape of Oku-Nikko that you could not see on the outward way.